This is just one of our many, many videos for local businesses with a 3D avatar spokesperson. Contact us for a sample for your specific business. 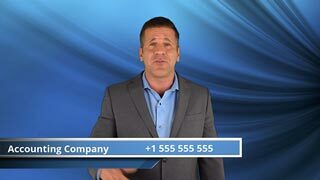 Please note that we adapt this type of video for you by putting your business name, telephone number and other contact information and swapping out the background for any picture you want. Most of our customers put photos of their real offices into the background. If you’d like us to adapt other things, e.g. the text spoken or cut in video material that you might already own, please ask for a special price.